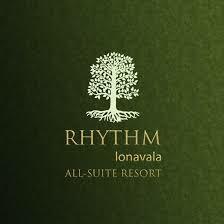 According to a survey by Agoda, one of the world’s fastest-growing online travel agents – Rhythm is considered to be one of the best hotels in Lonavala. Whether for business or leisure, travellers from Mumbai – Pune prefer going to Rhythm resort in Lonavala be it any season. Agoda – a part of Nasdaq-listed Priceline Group (Nasdaq: PCLN), has announced the winners of its prestigious 2018 Gold Circle Awards with Rhythm resort being one of the winner. This 5-star resort in Lonavala is recognized to be one of the top-performing accommodation destinations in Lonavala for many years. Rhythm prides in glory with this recognition. Moving forward, this luxury resort in Lonavala will continue to exemplify the best qualities of the travel experience for guests with its unrivaled central location and a total convenience for both vacation travelers and business executives, at a goal to keep the momentum and increase the brand’s visibility and optimize bookings to another level. This hotel in Lonavala is a great place to take a respite from the stresses of modern living. Although quieter than its neighboring counterparts, Rhythm certainly does not lack in its offering for its travelers. With an impressive environment, this hotel simply provides a down-to-earth vibe for those just wanting to chill out. Check out the wonderful amenities the hotel has to offer. To name a few there is a swimming pool, a spa service, a fitness club, a children’s adventure zone, library etc. You can either rejuvenate your senses as you indulge in a traditional massage or just unwind at one of the pools or stroll through the landscaped greenery of the resort. Moreover, Rhythm Lonavala offers a harmony of cuisines across three exciting dining destinations: The Tree-house Cafe, The Courtyard Poolside Bistro and The Cedar Lounge & Restaurant. This resort in Lonavala understands the importance of indulgence and offers its guests a wide range of Indian and International cuisines – ensuring a delectable culinary experience. In all, the team at Rhythm takes great pride in the quality of service offered to guests. Be it the lip-smacking food or the personalized service by the dedicated staff, meticulous attention is paid on every detail to make sure guests have a memorable experience. Previous Previous post: Luxury Hotel in Lonavala: A Great Place to Relax and Enjoy!